Cobra Foundation is an independent charity, founded in 2005 to celebrate the 15th anniversary of the establishment of Cobra Beer Ltd. Registered in the United Kingdom, our mission is to provide health, education and community support for young people in South Asia, especially through the provision of safe water. Our charitable objectives include giving help with Disaster Relief in the Region. Our tenth anniversary will be celebrated in 2015 with some special initiatives to be announced this autumn. To date, the Foundation has supported more than 170 charities and good causes, either with financial grants or the provision of complimentary Cobra beer for fundraising events. A particularly popular prize is A free case of Cobra Beer every month for a year! This comes with the important www.drinkaware.co.uk cautionary advice Please drink responsibly. As well as funding sanitation and school building projects we have brought two Indian doctors to the UK for three month attachments at leading training hospitals. There were generous responses to our appeals for funds for relief from Cyclone Sidr in Bangladesh in 2007; the Bihar floods in India in 2008 and the widespread floods in Pakistan in 2010. It is certain that natural or man-made disasters will strike in the future and we will again play our part. The logo of Cobra Foundation is a mother elephant with her offspring and it reminds us never to forget those in need. 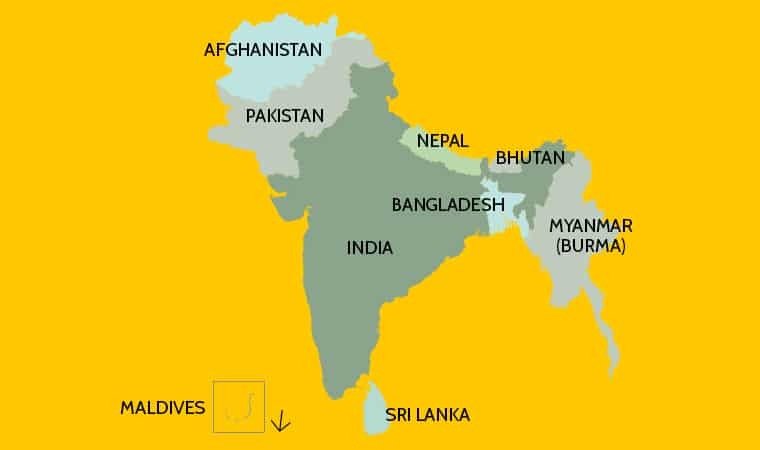 The Region extends from Afghanistan to Burma or Myanmar and includes the core countries of India, Pakistan and Bangladesh, together with Sri Lanka, Bhutan and Nepal.